If you think that last Bank Holiday weekend, I spent a large portion of my time BBQing and eating meat - and drinking beer - then you would be bloody well right. I mean, what else are Bank Holidays for? Actually, I did manage to do a little bit in the garden - mowing, trimming and planting flowers that my children have lovingly grown from seed. Sunflowers and cornflowers mostly. Nothing but sunflowers and cornflowers. Come July, we should be greeted with a riot of blue and yellow petals, and hundreds and hundreds of bees. I also installed a solar cat repeller in the front garden, in a bid to thwart the neighbourhood moggies, as they do love to use it as their local toilet. Initially, I turned it up to full maximum, high frequency, mega sonic blast. However, then the kids and Lenny started writhing around on the carpet. So I dialled it back down. And in the morning, there was a fresh cat turd waiting for me. So now, I have to wait for everyone to go to bed (including the dog) before turning the thing up to extra premium, asteroid shattering, radio factor force. And then switch it back down in the morning when everyone wakes up again. We are not completely poop free yet. But I do feel like I am making small wins, in some small way. Oh yes, BBQing. Now, you might be reading this, thinking 'OK Dan, what lump of flesh did you cook up this time?' But I don't want to talk about that. I want to talk about the delightful salad that accompanied it. 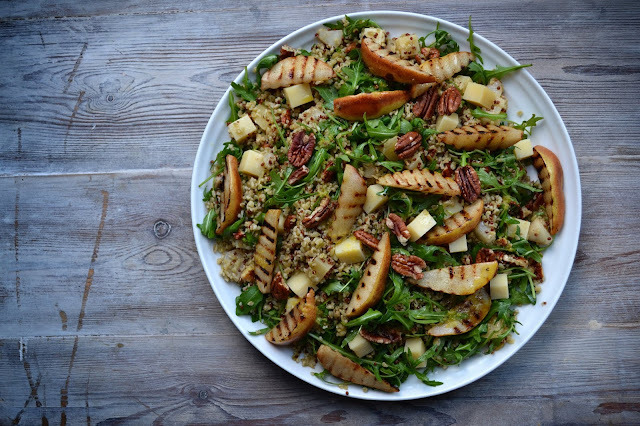 A vibrant and virtuous affair in the shape of dressed freekeh, with grilled pears, pecans, rocket and Comté cheese. 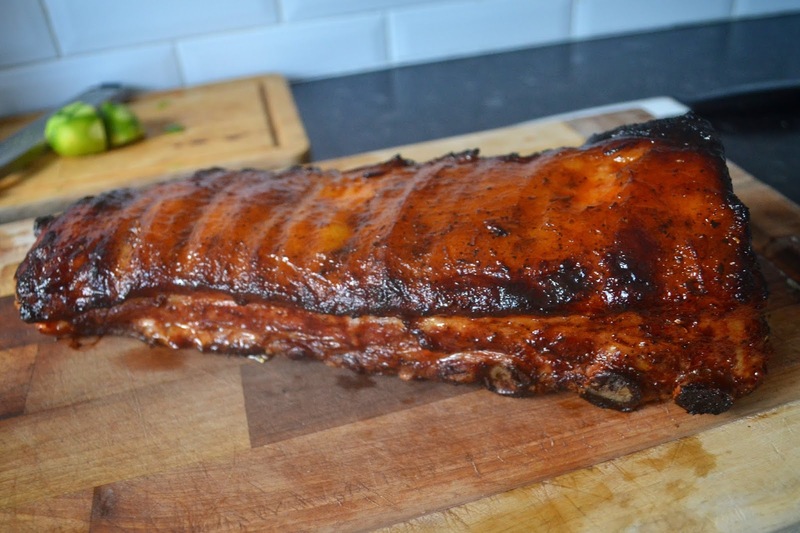 I have made this a few times now, having discovered it on their website and if you are in the business of making something rich, sticky and meaty, this salad is an excellent accompaniment and foil to help soak everything up. I have been using a lot more wholegrain in my cooking recently and freekeh has become quite a staple. It has its own individual flavour, earthy and almost smoky, so the fresh elements of citrus and charred fruit combine well. 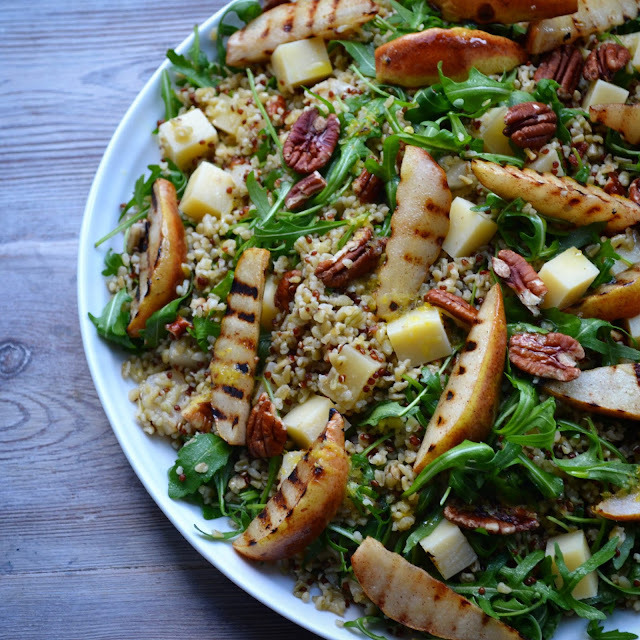 The cheese itself, can also have some similar characteristics to the freekeh. 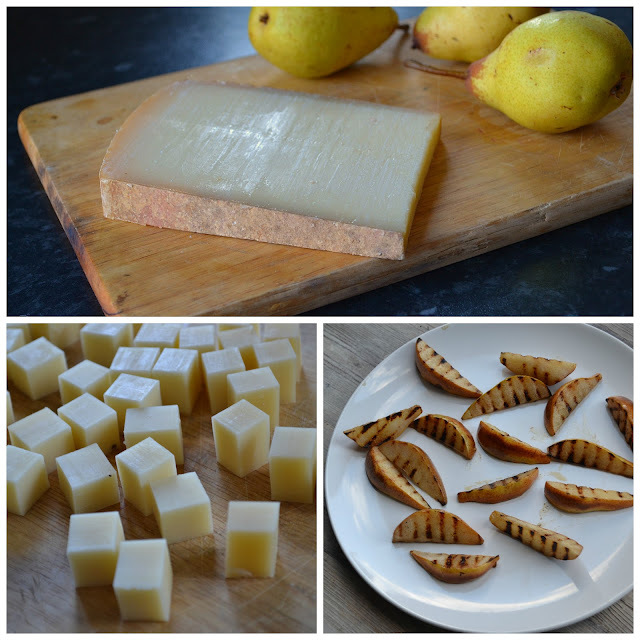 Especially the nutty notes of a piece of Comté that has been aged for 12 to 14 months. In this dish though, it serves more to add a touch of slight tartness. A lactic twist that pulls together the salt, sweet and sour. It's a fantastic recipe, conjured up by the clever brains of Laura Pope and I have been given kind permission to replicate it here. The only difference in my method is that I like to scorch the pear pieces over coals, rather than use my heavy griddle pan. Which I broke after throwing it out the front door one night. Don't panic and don't judge me. I only did it to scare the rotten ginger thing away. Drain off any remaining water and stir the freekeh with a fork to separate the grains. Leave it to one side to come to room temperature. If the skin of the pears is rough and thick, peel them – if not, you can leave it on. Cut them into eighths and cut out the cores. Toss the pears in the oil, cinnamon and a little salt and black pepper. Heat a griddle pan over a high heat for a few minutes and then char each side of the pears so that they have griddle lines and are warm all the way through – you don’t want to overcook them or they will fall apart. Chop half the pears into cubes and leave the rest for later. PS - This salad goes rather well with low 'n' slow BBQ'ed pork belly.